Murray and Laurie Goldstein are like the Cheech and Chong of PSN spotting. But Laurie comes through with this find all on her own in Atlanta, Georgia. Where there is smoke, there is fire in the PSN spotting world. Sandy Schneider spots another Up In Smoke, this time in Winston-Salem, North Carolina, the tobacco capital of the world. Always getting a piece of the PSN action wherever she goes, Lynne Segall spots this "tobacco accessory" shop in Atlanta, Georgia. The casual PSN spotter might miss this one but not Jonathan Schneider. 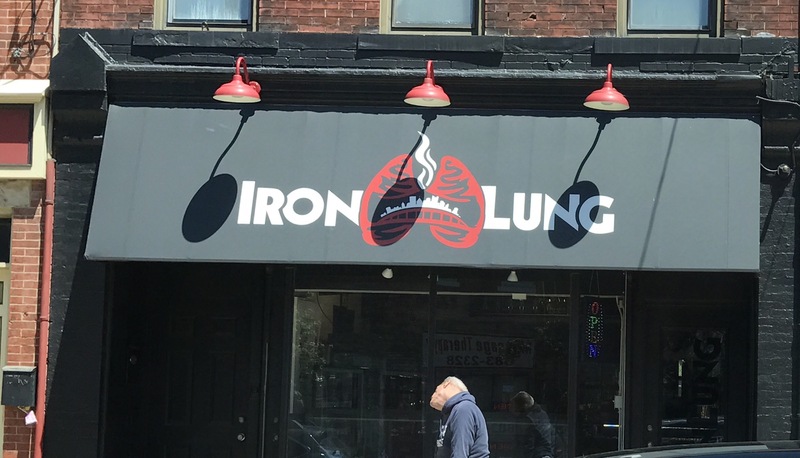 From Iron City comes Iron Lung, a vape shop. We call this a “contextual PSN” because it could only work in a place like Pittsburgh, Pennsylvania.